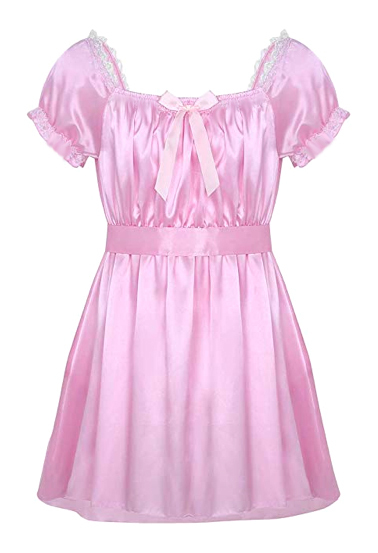 Amazing super shiny and full playful daywear dress with and a cute bow and waist sash. For sweet playful days ! Highest quality custom made design. German detailed workmanship, handmade with love and for years of joy. The dress is elastical for comfort. It is available in many wonderful glossy fabrics and colours. Addtional options can be chosen. Many more fantastic products like stunning lingerie, exclusively realistic female masks, soft silionce breasts, silky wigs etc are also available in our shop.